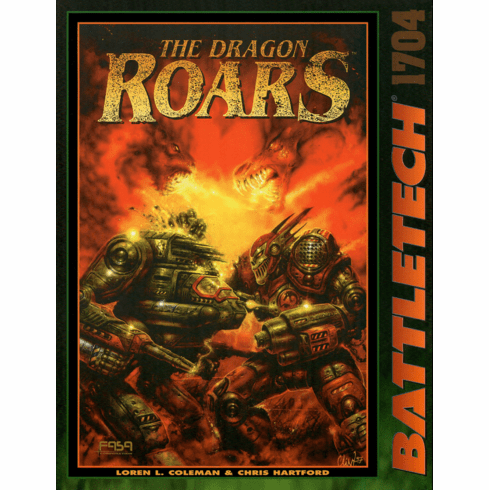 Battletech The Dragon Roars RPG Book is a BattleTech scenario pack that describes the brutal conflict between forces of the newly constituted Star League Defense Force�made up of a coalition army from every Great House�and the savage Smoke Jaguars. Detailed descriptions and maps follow each wave of this titanic struggle as the Inner Sphere sweeps into the Smoke Jaguar Occupation Zone. Twelve BattleTech scenarios and one BattleForce 2 scenario allows players to actively participate one of the largest conflicts in human history.